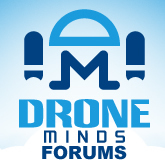 Ask a drone expert about anything you want to know about drones, no questions go unanswered! New Drone Flyer look for Help! Can I use old LiPo battery pack for my quad? Best beginner drone. (Syma X5C) Check out the video some fancy flying kind of. DM003 mini drone flight board swap blunder! Help me buy my first drone. Drone & Transmitter Range Extension Mod!